12/7 – ?? & Kurt Braunohler & Kristen Schaal & ?? So who else will open and/or play with YLT on the final three nights? (tickets are still on sale). 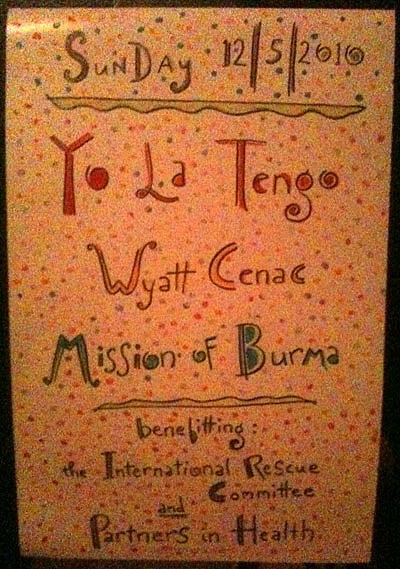 Mission of Burma and Wyatt Cenac opened.